-SMILES all around! This is the best stage ever when a baby starts to smile for real, in reaction to seeing people and hearing noises. 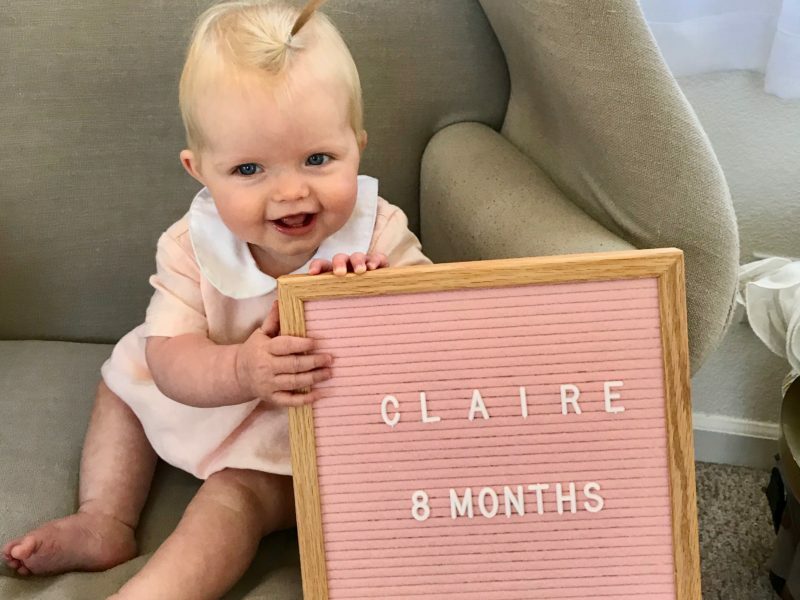 Claire has been smiling nonstop, the cutest and sweetest huge ones anytime she sees any of our faces. As you could guess, Reagan’s favorite game is trying to make her smile all the time! -She’s starting to make the cute cooing noises… especially when smiling. Also funny squawks and a little louder crying now, only when she is really hungry!! -Feeding well – spitting up sometimes, but mostly great and does the bottle well when I pump and go somewhere. -Sleeps amazing…up to 9 hours some nights, and other nights 4-5 hours. So just one feed in the night at the most. She loves the binky and is soothed easily. I hope she’ll be sleep trained by next month naturally, since she’s already doing so well! I’ve been surprised how smooth going to two kids has felt (so far!) 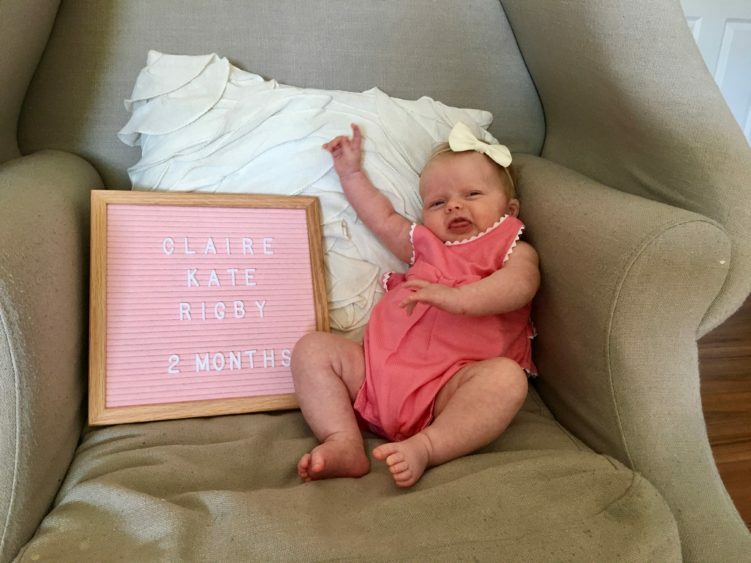 Probably because Claire is such a great baby and Chase had a lot of paternity leave, but even with him back at work now things have been so good and she has only added to the fun! Claire is a sweetheart and Reagan LOVES being a big sister to her. We’ll take it while it lasts, because I know there are crazier stages ahead (not to mention sister fights in the future ha :) but for now, loving it! 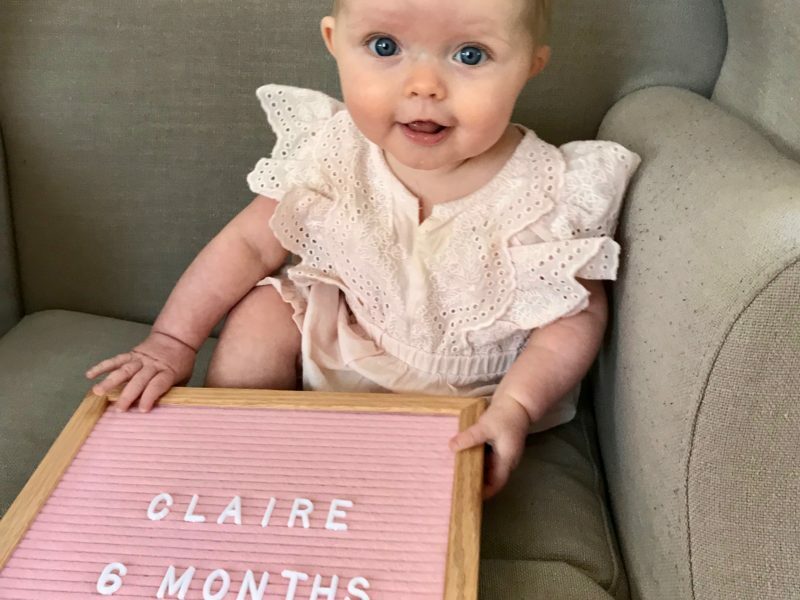 We can already tell how patient, calm and loving Claire is. She radiates sweetness in every way, but also makes sure to let us know when she needs something. 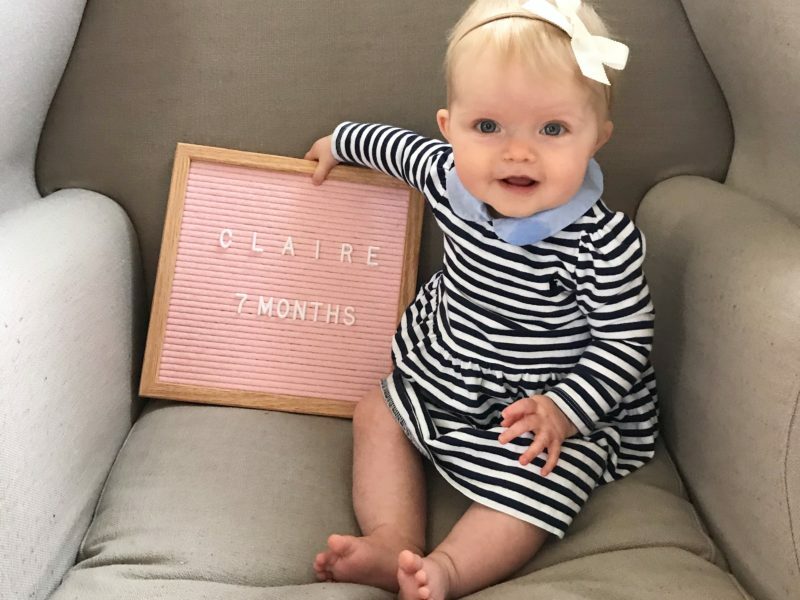 We have loved this second month with Claire, taking her to Salt Lake City to meet lots of family of friends, having her baby blessing, and even making it to Florida for Disney World! She was a champ on all of the flights and activities- sleeping, smiling, and feeding so well! This is such a fun time when their tiny little personality begins to emerge with smiles, coos, and more activity. I forgot how fun it is to watch them change day to day. It’s amazing! 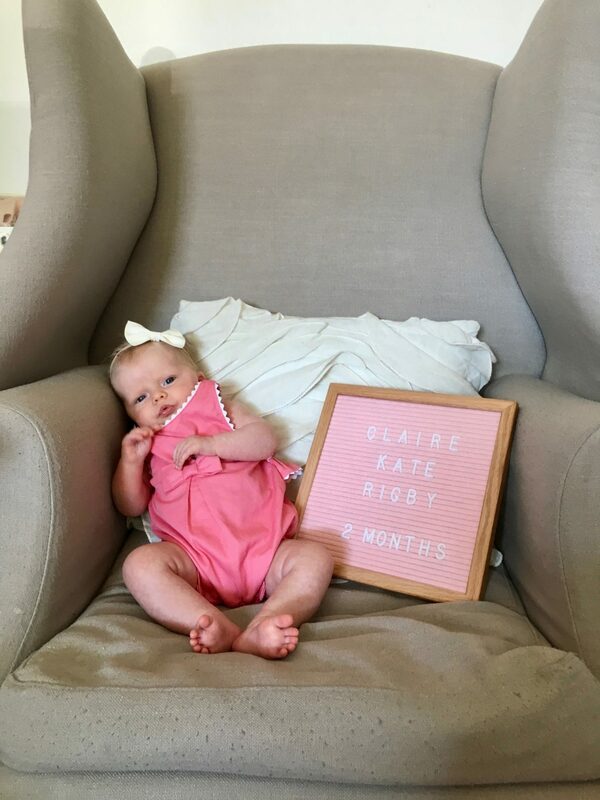 It is so fun to be a family of four and all of us love little C. Every morning when she wakes up it’s a contest between mom, dad, and Reagan to get Claire to smile the most! :) We love you CK!